Paul Rutan Jr. was the man in charge of the incredible restoration of the Beatles movie "Yellow Submarine" that you saw on the 2012 Blu-ray and DVD and in the theaters in 2018 for the film's 50th anniversary. This week, Steve Marinucci, Allan Kozinn and Ken Michaels talk to Rutan, who talks about the challenges that working on the film presented, his work additionally on "A Hard Day's Night," "Help!" and "Magical Mystery Tour" and why he believes "Let It Be" will be re-released. As always, we welcome your thoughts about this episode of the show or any other episode. We invite you to send your comments about this or any of our other shows to our email address thingswesaidtodayradioshow@gmail.com, join our "Things We Said Today Beatles Fans" Facebook page and comment there, tweet us at @thingswesaidfab or catch us each on Facebook and give us your thoughts. And we thank you very much for listening. You can hear and download our show on Podbean, the Podbean app and iTunes and stream us through the Tune In Radio app and from our very own YouTube page. Our shows appear just about every week. Please be sure and write a (good!) review of our show on our iTunes page. If you subscribe to any of our program providers, you'll get the first word as soon as a new show is available. We don't want you to miss us. And thank you very much for your continued support. Our download numbers have been continually rising each week as more people discover us and it's all because of you! So we thank you very much for supporting us. 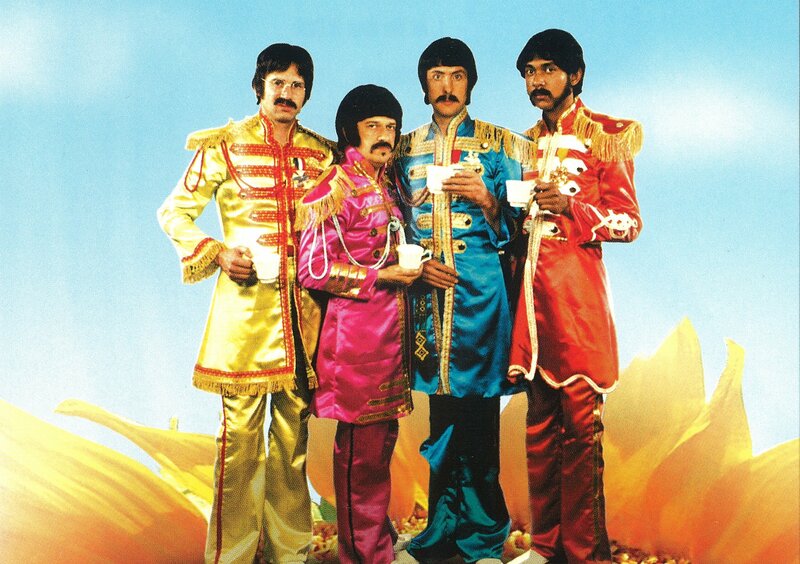 This week, your TWST hosts Ken Michaels, Allan Kozinn and Steve Marinucci discuss three Beatles-related films that didn't star them, but were about them -- "Backbeat," "I Wanna Hold Your Hand" and "The Rutles." Also on this week's agenda: Ken reviews seeing Paul McCartney and we also have a report on the early version of "What Goes On" coming up for auction. Be sure to let us know what you think about this episode of the show or any other episode. You can send your comments directly to our email address thingswesaidtodayradioshow@gmail.com, join our "Things We Said Today Beatles Fans" Facebook page, tweet us at @thingswesaidfab or catch us each on Facebook and give us your thoughts. And we thank you for listening. Don't forget, you can stream the show from our very own YouTube page. Subscribe to our show on our iTunes page and please write a review. Be sure to check our Podbean page and on iTunes regularly for our latest shows, which usually appear each week. And we're now available through the Tune In Radio app. Be sure to subscribe to one of our providers to get first word on when a new show is available. And thanks for your support. Our download numbers have been rising and it's because of you! So we thank you very much for supporting us. 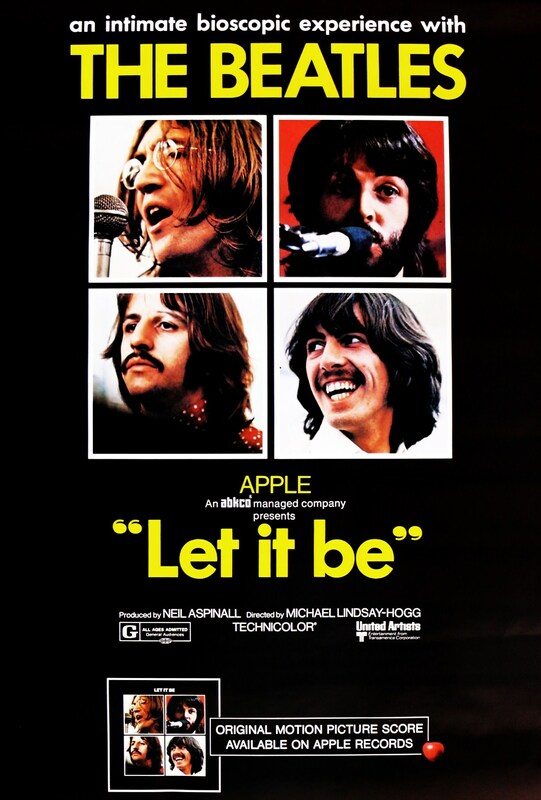 For the 45th anniversary of the release of "Let It Be," Al Sussman, Steve Marinucci, Ken Michaels and Allan Kozinn discuss the album, the movie, the legacy of the movie and the album, and how the film should be released on DVD.